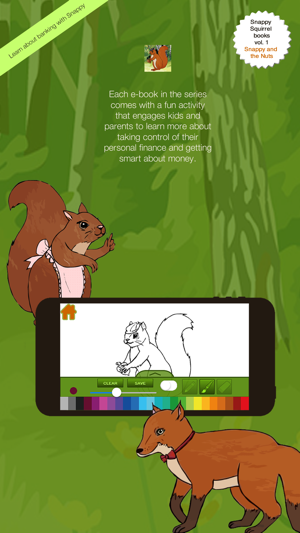 The Snappy Squirrel e-book series teaches kids and families in a fun, collaborative way, about personal finance, saving, investing, banking, stocks, bonds, mutual funds, day trading, and more! Take control of your finance from an early age as you learn with Snappy. In Book 1, Snappy realizes that hiding his precious property, the nuts he finds in the forest, is not a good strategy as they can be stolen, lost, or destroyed. He decides to open a bank account in Owl's Forest Bank and learns about bank interest in the process. 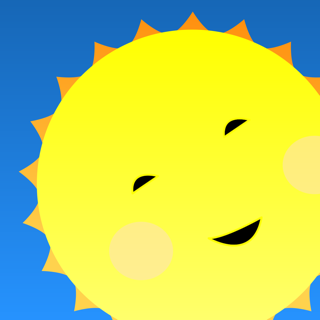 -Colorful illustrations, nature sounds, and animations help keep kids engaged in learning. -Click the ladybug as you read for stimulating discussions about your own family's financial choices. -Each book also comes with a game or coloring activity so kids can have fun while discovering. 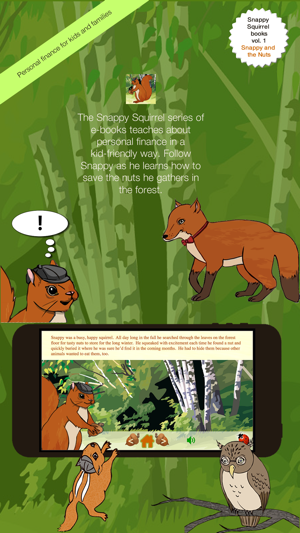 Kids and families can learn about saving side-by-side along with Snappy Squirrel. Wonderful way to share time with kids, teaching them about money, how banks work, where we get cash & how we manage our money. What a wonderful way to learn! Snappy is so cute :) Great book series on finance for kids. Trust me your kid will be grateful to you one day because of these books! This is a great series of stories regarding finance for kids. They cover topics like savings, business, investment, etc in a fun and cute way.